The review of an extremely popular wager among bookmaker bettors – Both to Score. High popularity of the given bet lies in simplicity of use. The bettor is offered to wager on the possibility of both teams to score goals in the competition. Therefore, we may get two outcomes: Both to Score – yes and Both to Score – no. The first situation would be successful in case both teams score some goals. The second one if at least one team scores or both. When it comes to odds, the indicators may vary from 1.2 up to 5-6. So, when the teams usually score some goals during the game, you won’t get high odds for BS. However, the prices for the clubs who score less might be quite attractive. Thus, one may use the wager for multiple bets in the first case, and for single bets in the second. We should also mention the possibility of the combined Both to Score bet occurrence: Both teams to Score + ТO 2.5 (both teams are going to score and the meeting ends with 3 goals). 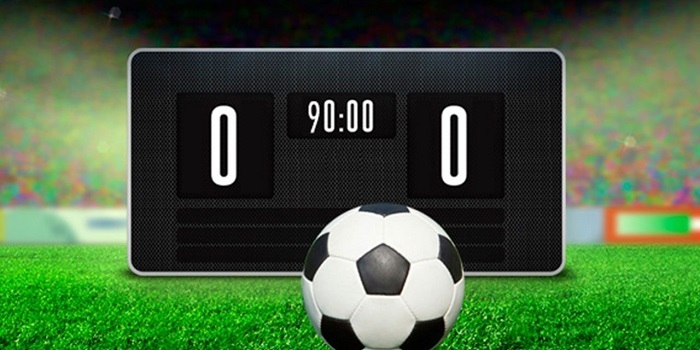 Using Both teams to Score, the bettor got the leverage, as it’s possible to check the statistics of scored/conceded goals on multiple free statistics services. Due to statistics one can study the performance of a particular team and championship as a whole. The experience shows that less goals are scored in championship of France, Belorussia, Ukraine etc, and hence, there is a reason to bet Both to Score. Most experts offer to avoid betting derby and knockout meetings where everything is decided by one game. The thing is that teams are motivated completely differently and may step away from the usual tactics. Therefore it’s quite complicated to analyze such meetings. Above all, we should also consider the odds when we choose to bet Both teams to Score. We should understand that betting Both to Score – no in the game between the favorite and the underdog is ruther promising but won’t bring you high profits. As we all may see, Both to Score has undeniable benefits together with some slight weaknesses. So the bettor should decide would the wager suit the strategy or not. We also offer to your attention other wager reviews, which you can find in the Betting School section.